Is this your first Valentine’s Day? Are you a couple celebrating your tenth Valentine’s Day? Whatever the answer may be, hardly matters because we always want it to be the best and something which has never happened to you. We all want that the day should be like never before and never after the type. Something which never happened to any valentine, and should not happen either to anyone. 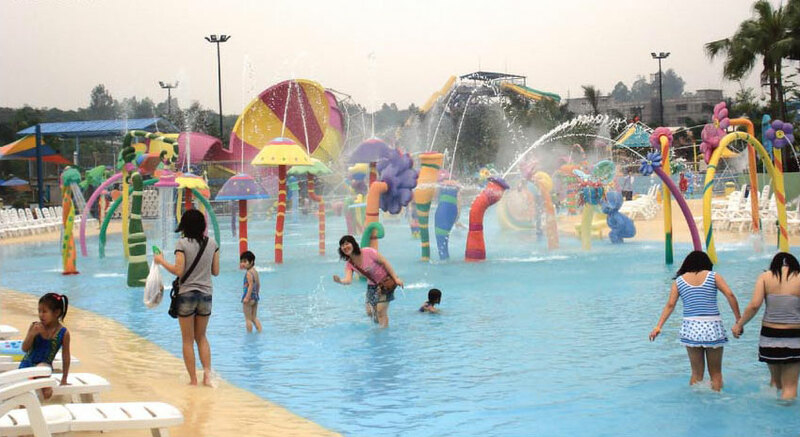 Pune is a city with a young population and has lot many options to celebrate the day, let’s explore the best. 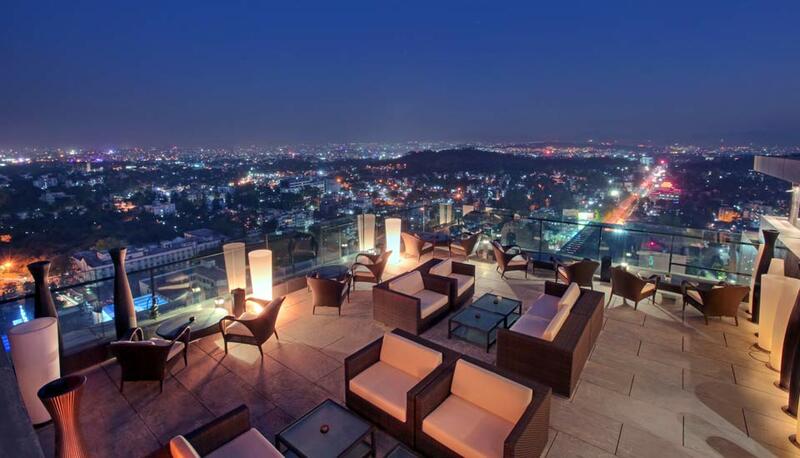 Situated at Mariott, Bund Garden Road, this rooftop restaurant on the 9th floor will set the mood perfect for a candle light dinner with the skyline view of the city, and a deadly combination of exotic wine, food, and lounge music. 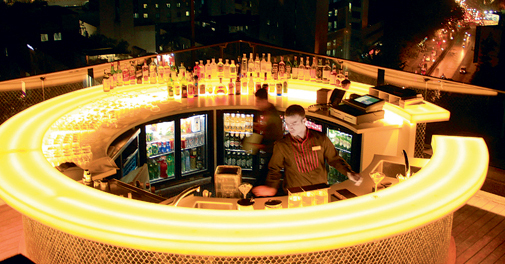 The elegant ambiance and the flawless service you are sure to enjoy it to the fullest. 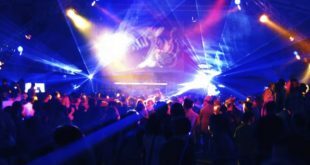 The delicacies presented by the Chefs and the high-end drinks served by the bartenders all will compliment to whatever you will do to please your ladylove. 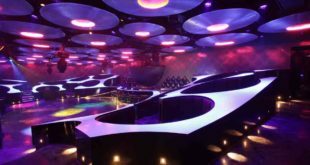 Situated at Yerawada, this restaurant justifies the name with its exotic open rooftop dining area, staff always ready to give you the exotic royal treatment, and the enormous buffet. The only thing you need to arrange is a beautifully decorated Chocolate Cake and a bouquet. The freshness of your relation will be doubled at this place with a combination of all these. This 124 years British throwback with a lush green backdrop, wooden pavilion, and a beautiful courtyard, at the serene and tranquil Poona Club, Bund Garden Road can be the best place to celebrate your date and spent the day in a very nostalgic way. They serve you Mediterranean and European cuisine and if at all you love them then rest will be a memory to cherish. 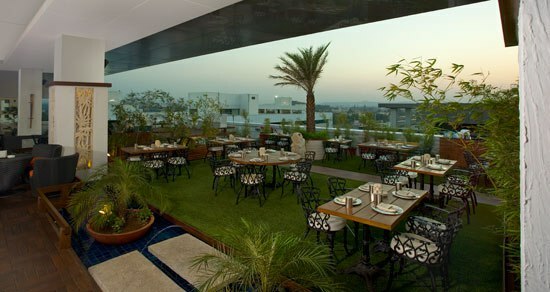 Situated at Senapati Bapat Road, this graceful, stylish rooftop restaurant with a spectacular panoramic view of the city is surely what you must be looking for. It will feel like a fairytale candle light dinner under the sky, blessed by the presence of the White moon and the stars. All this complimented with the elaborate Indian cuisine. Love birds will foster the adorable moments spent on this day here at “Paasha”! 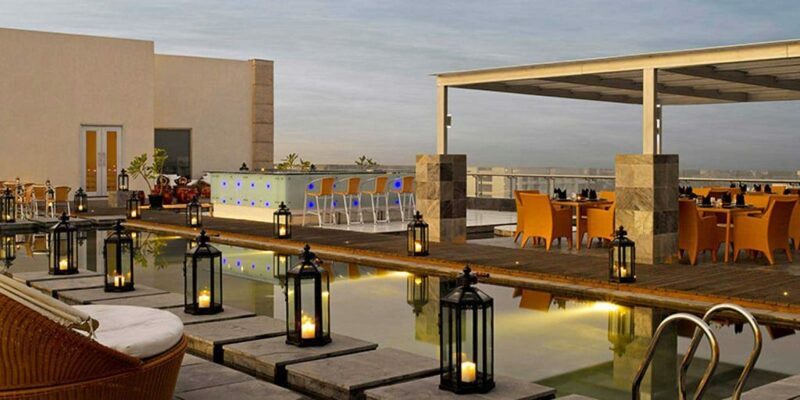 This Koregaon Park situated restaurant has one of the best rooftop restaurants with a poolside dining area. The shallow pool also allows you to sit along with your partner with the sparkling glass of exotic wine and enjoy the live Charcoal Indian delicacies served with utmost grace and courtesy. You will not be disturbed till the time you would like to make it the best time and place to be in. 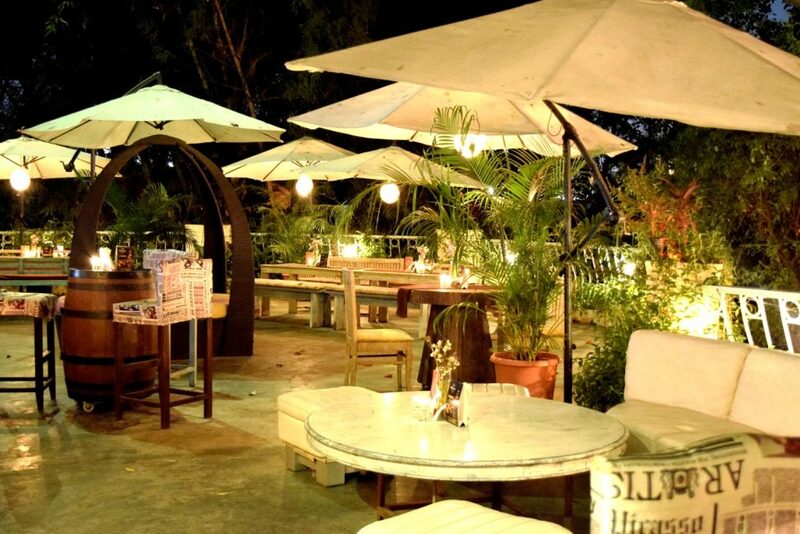 Set on a retro bungalow style this restaurant at Kharadi Mundhwa Bridge has good seating arrangement with abundant greenery and has a laid back ecosystem which will make it more adorable for the date and the service is just appropriate for the occasion. The best place to be nostalgic and spend the day with your loved one. With the option of indoor and outdoor seating, this place at Hinjewadi has a relaxed, warm atmosphere and is ideally complete for a date. One of the popular joints in Pune for its large and open space to accommodate even a crowd of 400 at a time, Mezza 9 is perfect to cease your craving for a delectable cuisine. Situated at Bavdhan Khurd, the place is away from the hustle of the busy city life and will make you feel that you have traveled back in time and are visiting yesteryears with its wooden antiques, English Pub, leather upholstered furniture and a good thick greenery all around. Matchless for a date, and unparalleled to memorialize the day. 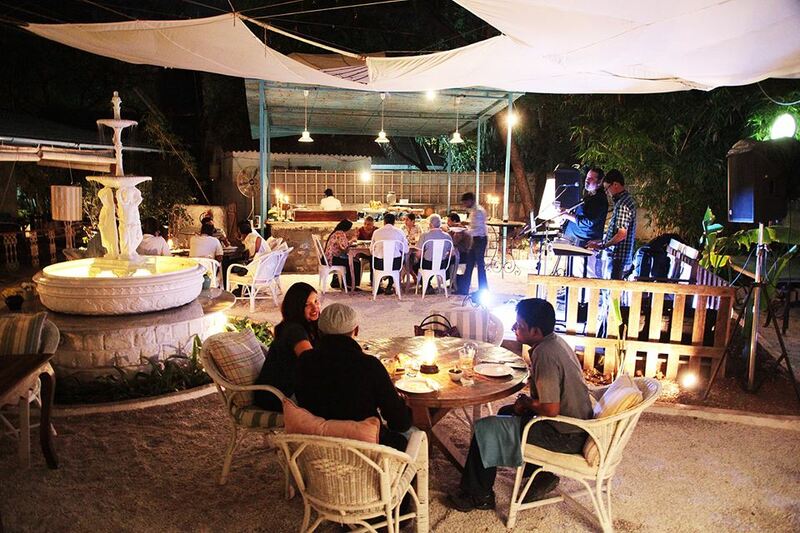 This place inspired by the elements at Koregaon Park has been carefully arranged into a landscape full of choices around the dining and seating area. 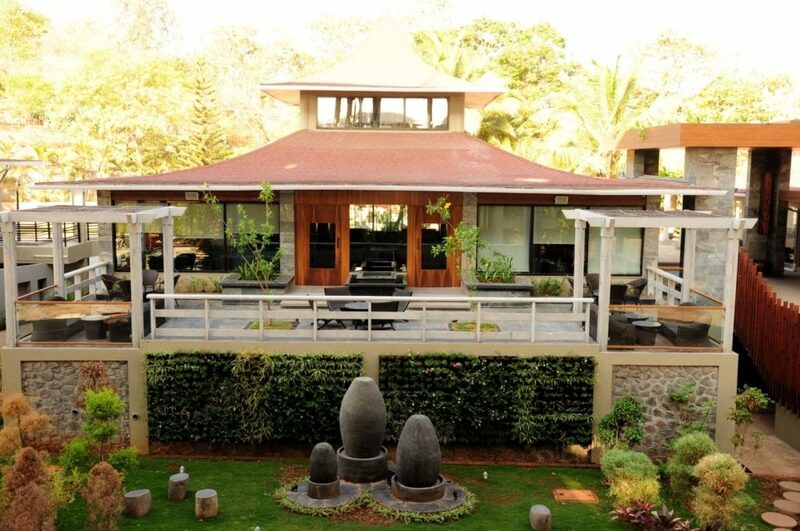 You may choose from a base of a palm tree to the branched beautiful Champa. You may dine with your feet into the sparkling pool of water at private dining space with your partner. The wood fired oven, charcoal grill, and the reflection of all on the water flowing from your feet will make you feel no less than a dream. With the concept of including every member of the family this multi-level rooftop lounge with its modern interiors and a cuisine which is cosmopolitan, and a tranquil ambiance will definitely be loved by all if you have plans to celebrate the night along with your love and family. It is well understood by all the kind of hectic life we spend but on this day all that is expected is to be together and disperse the fragrance of your love.